The boss was kind enough to give me yesterday off so you are getting a delayed version of Thursday Morning Superhero. Big news in comics this week. The Image Expo had attendees drooling over their new projects and DRM free digital comics. Then yesterday San Diego Comic Con announced its schedule for Thursday, including Ender's Game, X-Files reunion, and a farewell to Dexter. Vertigo, DC Digital, and a panel on gender and comics caught my eye as well. Onto the books! 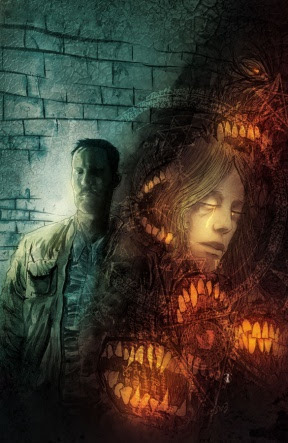 Ten Grand #3 - This title from J. Michael Straczynski really hit its stride this week. 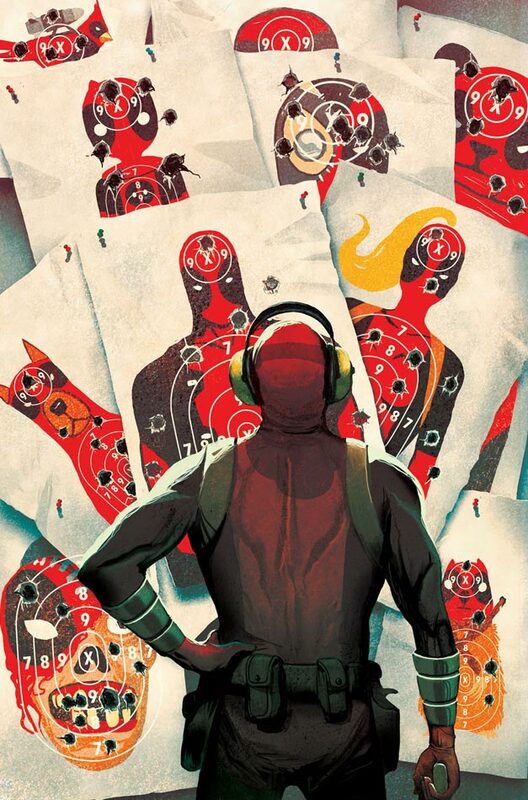 I have been thoroughly enjoying the title, but the twist at the end of this issue opened up even more possibilities. Joe is a former mob enforcer who was killed alongside his fiancee but given the chance to be resurrected to make up for the horrible crimes he committed as a human. For every honorable death he dies, he gets to see his fiancee for five minutes. This book featured a beautiful flashback about how he met his love for the first time and the life he had before it was all taken away. This is one of the most original titles I have read that has heart, is illustrated beautifully, and has a fresh take on the supernatural. 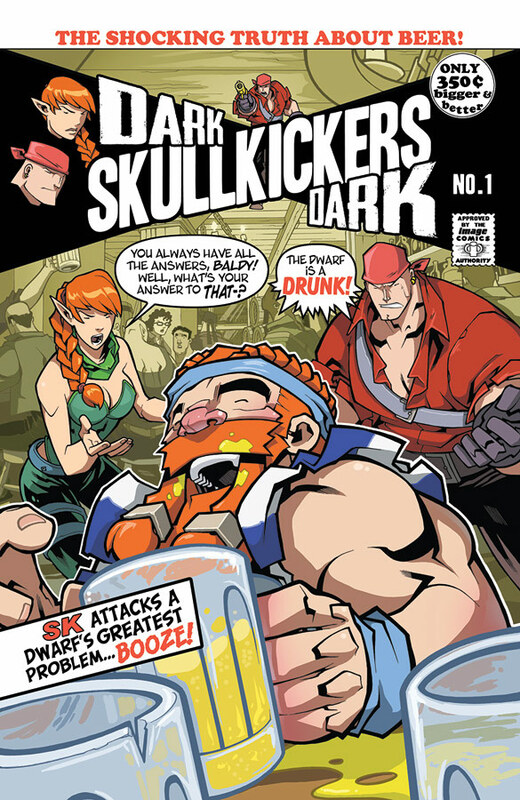 Dark Skullkickers Dark #1 - The relaunch of Skullkickers reaches its conclusion this week as our trusty group of heroes are reunited with the dwarf! Jim Zub continues his jabs at the industry in what has increasingly become one of my favorite lighthearted reads. Avengers A.I. #1 - The post Age of Ultron world begins with a new artificial intelligence threat. Vision gains new powers and this crew of the avengers team up with a hacked Doombot to defeat the current threat. Enjoyable, but forgettable issue. The Surperior Foes of Spider-Man #1 - Nick Spencer brings us a fun title that is in the same breath as the current run of Hawkeye. We get to know the Boomerang and his crew of baddies who subject themselves to beatings and arrests week in and week out from various superheros. Really fun title that warrants your time. Satellite Sam #1 - Just your run-of-the-mill comic set in the 50's in a television studio of a live sci-fi television program. The lead actor is missing and it turns out is involved in some sort of pin-up ring and probably worse. Very interesting idea that could be great.